The Hollywood blockbuster “Deadpool” was the surprise hit in theatres in 2016. What might have been just another superhero movie, turned out to be a witty and refreshingly ironic movie. It doesn’t take itself and the entire genre too serious and gives viewers a good laugh combined with fast paced action sequences. As a stylish superhero movie, “Deadpool” comes in a distinct look, that required a smooth workflow for media and color. 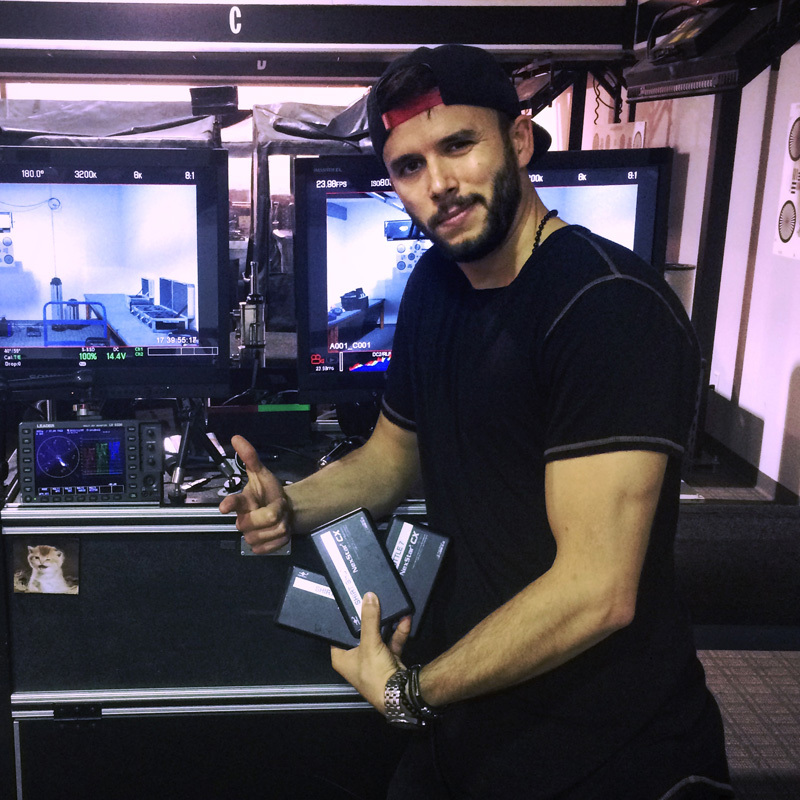 Mitch Bax, who worked as digital imaging technician on the Main Unit, revealed to us his way of handling data and color on set, using his notebook and both Silverstack and LiveGrade. What formats and systems have been involved from capture to post? These settings are the base of your workflow. As a DIT, understanding these settings and ensuring they are utilized correctly is the foundation of a successful shoot. So, now that we know what format we’re striving for, we can change things to suit our needs. For example high speed work required us to switch the camera into 16:9 mode so we could achieve over 75 fps, which happened several times throughout the project. The footage was shot on the 2TB Codex mags and captured internally on the XTs (a common way of capturing ArriRAW and since it’s advent you can now utilize the Alexa in a much higher capacity with a very simple physical mag which loads directly into the camera – we all remember the restrictions and headaches external recorders had when it was the only way to capture ArriRAW. After recording, I would handle the mag directly, and download it once onto my onset RAID using Silverstack. It allowed me to catalogue the entire movie in one program. I would always be referencing past scenes so we could match color temperature, ASA, shutter angle, frame rate etc. It’s such a helpful tool and saves the camera department from having to flip through stacks of handwritten camera reports – usually stained with coffee and raindrops, making them nearly illegible to begin with. I connected the dual port reader for Codex Capture Cards via SASS interface to my laptop. That fed a TB2 Pegasus Promise 8TB RAID 5 disk array…wow that was a lot of words to describe a gigantic hard drive. Yes, I did the entire movie entirely on a laptop, most people think that a tower with some major horsepower is necessary for a movie, however I argue the speed and flexibility are more important so I keep all my work on a laptop. I could take it home with me to reference files with the lab at night, and I could take my laptop by hand to set or splinter unit or 2nd Unit and show them stills references or apply LUTs on the fly in difficult locations. Some projects do require bigger hardware, and since this I have started using both a laptop and a tower, however for “Deadpool” I stuck with just a top of the line Macbook Pro. Silverstack allowed me to easily move and show off my library information to anyone at anytime. How was the interaction with the DP in terms of color and look? Mitch: Ken (editor’s note: Ken Seng, director of photography) required a few tasks from me; some were day to day on-set requirements, and others were expected duties that I carried out behind the scenes to ensure a smooth workflow. So no one would get phones calls at 3 am asking “Where’s the LUT! ?” or “Why does it looks so blue?”, questions I can always answer or solve without disturbing others. This goes back to why I go with a laptop, so I can open it up at home and quickly provide answers. LiveGrade was the best tool for the job allowing me to quickly adjust out LOG-C image to Ken’s needs. Because we moved fast and made lots of changes to the lighting and colors we used on set, it was important I could just as easily keep up, so grading live was key, and there is no better product out there to do so. The LUT’s we used were all created on the day. Ken had designed a base look in our pre-shoot tests that we would always reference. It served as a starting point, and more often than not I would be tweaking it to match cameras or change the overall tone of the LUT to suit Ken’s taste. I was using LiveGrade to build the LUTs in real time, and sometimes Ken would even do the building as I also carried a Tangent wave panel. “Give me the wheels” he would say, and I would flip control over to his side of the cart so he could instantly readjust the LUT to the way he wanted it – sometimes just a small luminance tweak, and other times he’d completely rebuild what I had. And suddenly we had a new scene LUT in a matter of moments. 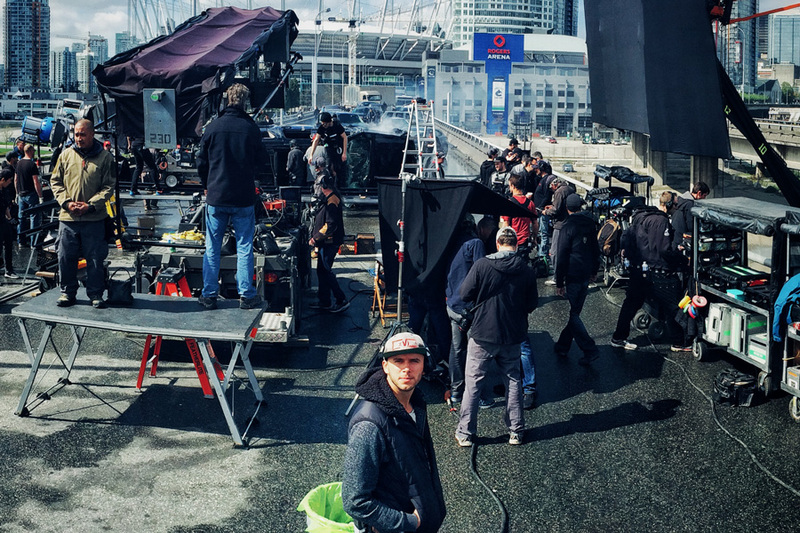 DIT Mitch Bax on the set of “Deadpool”. Utilizing a set of controls that the DP can touch to make his own contrast adjustments is such a great way to give even more control of the set to the cinematographer – which is ultimately what a technician strives for, accessing more control over a set and then passing it on to the cinematographer. By the end of the show I had a large library of LUTs, which we would constantly reference back to as a starting point for upcoming scenes. I still have them all, a pre built LUT is valuable, and referencing a library of good ones can save a lot of time on set. LiveGrade’s library was easy to read, track, and utilize, so I was never fumbling around on my laptop for a look we used two weeks ago. Because you can track things using dates within the software, I could easily find looks we used on previous sets that we felt would work for whatever was happening that day. What was particularly interesting and engaging for you in this production? Mitch: I’ve mentioned a few highlights regarding this shoot already, but I would say the most engaging thing was how Ken was always adamant that on set our image was always looking its best. Which meant I was constantly building and making new LUTs with LiveGrade to complement the lighting, this kept me very engaged every day, and gave me incentive to always be critical about our workflow of color to post. And when I finally saw the movie, I was thoroughly impressed how similar the product looked to what we did on the day. I realize there was a DI, and I know some scenes needed more work than others to match together and really pop, but it was rewarding to watch it in the theatre and see that the colorist had either referenced our work on set or started with those exact LUTs and just made a final pass off of them. In my mind that’s a huge time saver, so even though we only talked briefly at the beginning of the movie, by constantly managing my small world of on-set looks, I feel like I provided a lot of help for the post production process – you would have to speak with them for their specific thoughts however. I sent TIFF still images and a combination of .CDL and a base .cube LUT to Deluxe for their Dailies colorist as part of my workflow, from there the stills were archived and distributed as light references for future scenes or for the final DI. Thanks a lot to Mitch for his generous insights into his personal workflow and the making of “Deadpool”. If you want to read more on how the movie was shot, please take a look at this article over on Definition Magazine. Also be sure to read part 2 of this article, when we are talking with Chris Bolton, who was DIT on the 2nd Unit.